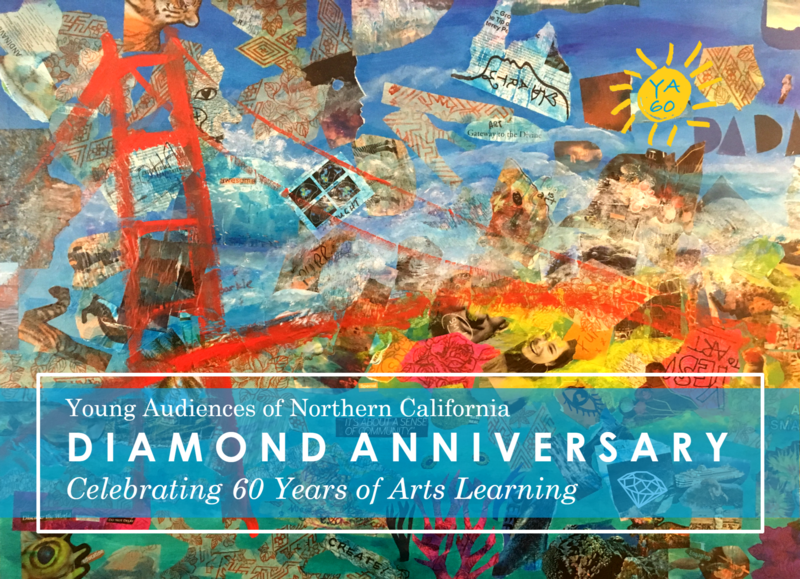 Please Join us for Young Audiences of Northern California’s Diamond Anniversary: Celebrating 60 Years of Arts Learning on Wednesday, April 24 at 6:00 to 8:00 p.m.
Hors d'oeuvres by Weir Catering & Events. Hosted bar of beer, wine, and featured cocktail. Showcase featuring our talented Teaching Artists and live auction. ** Street parking is available (and usually plentiful after 6pm). Flat rate, uncovered lot parking is accessible across the street at 935 Brannan at 8th St.
Young Audiences of Northern California has partnered with Give Lively to securely process your online donation. This transaction will appear on your credit card statement as "Young Audiences of Northern California". This transaction is subject to Give Lively's Terms and Privacy.